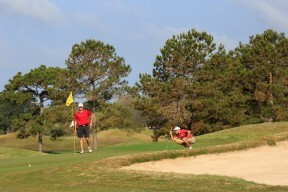 Warm sun on your face and a gentle breeze blowing in from the Gulf, you approach the ball, head down, arms extended. The club head makes a perfect arc, whizzing through the air as it strikes the ball with authority. Your eyes follow it sailing into the blue sky, and then down into the green towards the hole. This is when you realize that you have just entered a whole different golfing experience in Gulf Shores and Orange Beach. While planning your trip you may call our golf courses directly or if you need assistance with creating a golf and lodging package you can contact Coastal Alabama Golf. 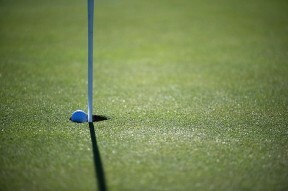 Golf is just as important in Gulf Shores and Orange Beach as our white sand beaches. From driving ranges to the full 18 holes, our exquisitely designed and maintained Alabama golf courses go hand-in-hand with the natural beauty of the Gulf Coast. 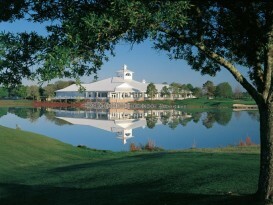 Under a brilliant blue-sky canopy, perfectly manicured fairways spread in a dazzling panorama. Lined by gently swaying pines and oaks, they lead to emerald-jewel greens, so vivid in the sunlight they take your breath away. 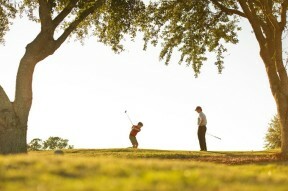 Read on to learn more about our world-class golf courses. 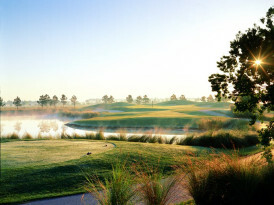 With fourteen beautiful courses in and around Gulf Shores and Orange Beach, there are plenty of golfing options. 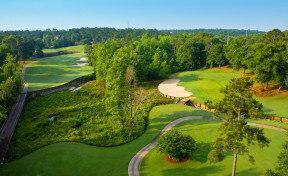 Play courses designed by Arnold Palmer, Jerry Pate and Earl Stone. Tee up just steps away from the white sand and gentle surf of the Gulf or under the shade of live oaks and Spanish moss. The choice is yours and every decision is right. Regardless of skill level, there is a golf course to challenge you and a 19th hole where you can relax after. 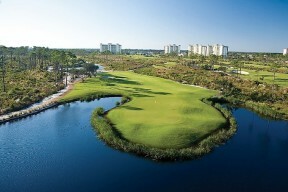 In fact, we have so many premier golf courses and golf clubs that you may have a hard time deciding which one to play. One of the area's most popular golf courses is Kiva Dunes in Fort Morgan. This par 72 jewel that plays 7,092 yards from the back tees and near 3,000 feet of private beach. 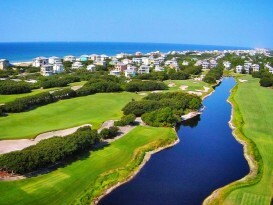 This Jim Edgemon designed course is in a resort setting and features everything from condominiums, beach houses, private beach, fitness area, pools, and the Kiva Beach Club. While the golfers roam the local links, non-golfers fill their days with adventure and fun, Orange Beach fishing, visiting historical sights or just lounging on the white sand. Afterwards, you can gather and share the day’s adventures, relax at your vacation rental, or continue exploring the wonders of Alabama's Gulf Coast. No matter who you are, every day is special at Gulf Shores and Orange Beach. Yes, we do have winter, but you probably won’t recognize it. Moderate temperatures, gentle breezes, and lush green golf courses make winter in Gulf Shores and Orange Beach a different experience. The off season is the perfect time to keep your swing in shape. Check for seasonal deals and book a winter escape to the place where the greens are green all year long. 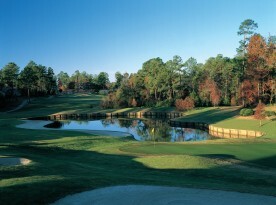 Gulf Shores and Orange Beach beckon you to a golfing paradise. 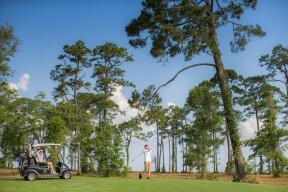 Visit us today to plan your Orange Beach and Gulf Shores golf vacation.